Years later, The Raven remains with a new plaque. SPRING HAS SPRUNG and the nicer weather inevitably encourages the graffiti vandals to renew their destructive pastime. Now, if only the City’s facilities department would complete the job. For, while the graffiti vandalism on the work of art has been dealt with, the plaque that identifies it has not. It remains missing in action after many years. The City’s lack of action in replacing stolen plaques is bordering on the absurd. Two years ago, thieves ripped off almost two dozen more plaques from community monuments and memorial benches for the value of their metal. Nobody has ever been brought to justice for this disgusting act. 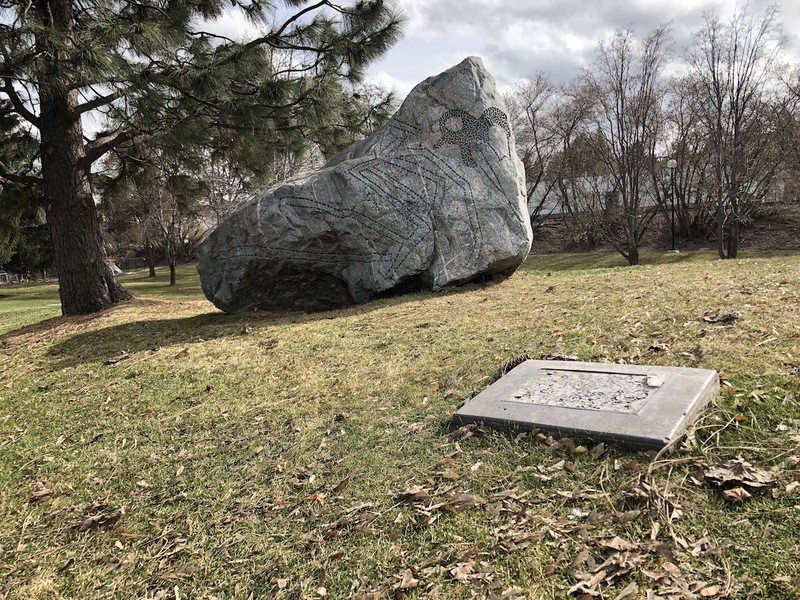 Among the ones taken were those at Uji Gardens, the Cenotaph and the location marker for Fort Kamloops. Replacing them would be a challenge, said the City. An alternative to the expensive bronze would be sought, something less attractive to the thieves. A year later, nothing had been done. In February of 2018, I complained about it and was told the City was still looking for the right material. A tour of the plaque locations right now will show that the memorial benches have been replaqued, in bronze. The Cenotaph plaques have been replaced, and so have a couple of others. In bronze. The Uji Garden, Fort Kamloops and several other plaques have not. Two years, and little action. This is not performance. City of Kamloops, you get a big fat “Incomplete” on this file.